On the northeast tip of the Yucatan Peninsula, Cancun's climate, beaches and extremely vibrant nightlife attract visitors from all over the world. 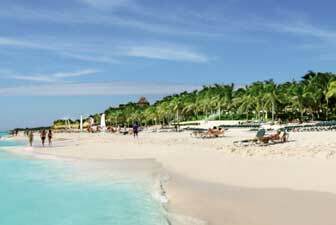 To its south is the area of the peninsula known as the Riviera Maya, which stretches down the coast and is dotted with many luxurious upscale resorts all the way to Tulum, perhaps best known for its Mayan pyramids and ruins. Whether you choose to spend your Mexico vacation in bustling Cancun or along the quieter Riviera Maya, you can enjoy all sorts of ocean watersports, jungle tours, snorkeling in cenotes (underwater caves), golf, tennis and ATV rides. 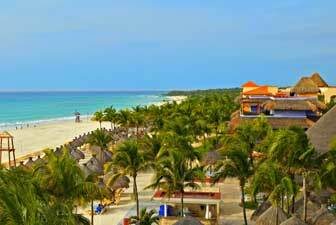 As a large-scale seller of Cancun and Riviera Maya resorts and Cancun and Riviera Maya vacations, we are able to offer you unbeatable prices and unparalleled value. 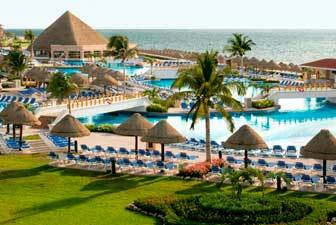 Once you have found the discounted Cancun and Riviera Maya resort of your choice, please call our resort consultants at 1-800-340-8612 to book your vacation and save money with our first-rate personalized service! 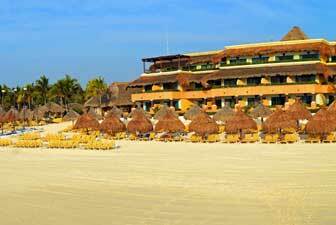 Book your Cancun and Riviera Maya resort today with AffordableTours.com, your discounted resort headquarters. 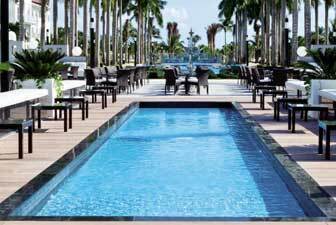 Le Blanc Spa Resort would offer a world class experience like no other. 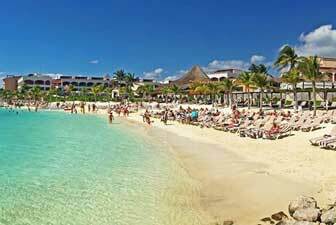 Location: The hotel is located 20 minutes south of Cancun International Airport, 35 minutes north of Playa del Carmen, 40 minutes from Playacar Golf Club, 10 minutes north of Puerto Morelos and 35 minutes south of downtown Cancun. Think barefoot elegance, highly personalized service, gourmet cuisine and a kid-centric flair, and you have all the makings of the AAA Four Diamond Award winning Azul Beach Hotel in Riviera Maya. El Dorado Royale a Spa Resort by Karisma has been recognized as the only Gourmet Inclusive In North America to receive the prestigious AAA Four Diamond Award since 2007. 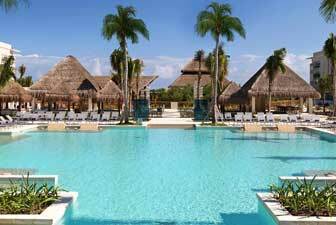 Location: El Dorado Seaside Suites is conveniently located in Riviera Maya, Mexico approximately 25 minutes south of the shopping and nightlife at Playa del Carmen and 25 minutes north of the ancient ruins of Tulum. 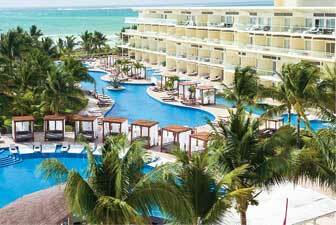 El Dorado Seaside Suites, an intimate, adults-only (18+) all-inclusive resort, is located in Kantenah Bay Riviera Maya, facing the beautiful Mexican Caribbean on a mile of breathtaking beachfront. 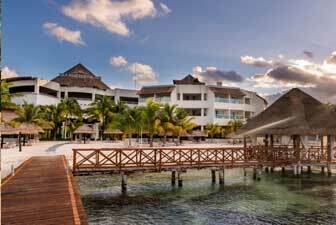 Location: Laps the shores of Playa Paraiso, and is located only 30 minutes from the Cancun International Airport. Ideal for couples, honeymooners, luxury travelers and golf and spa enthusiasts alike, the adults-only Iberostar Grand Hotel Paraiso provides the ultimate in opulence. 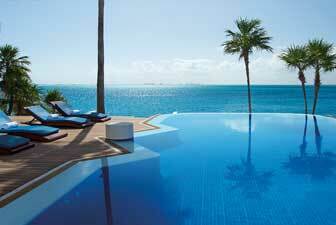 The minute you enter your guest room you'll be primed for luxury at this Cancun resort. 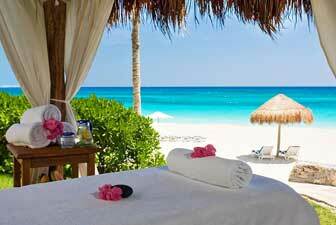 A member of the prestigious Leading Hotels of the World, the Royal Hideaway Playacar Resort is situated on the best stretch of white sand beach along the shores of Playa del Carmen, Mexico. Location: The Resort boasts a perfect beachfront location, mere steps from Playa del Carmen's famed Fifth Avenue, with its hip night spots, trendy cafes, colorful shops and local color. Combining luxurious accommodations with warm, personalized service and a great location, this upscale, adults-only resort is an ideal choice for your next romantic getaway. Nestled amidst sparkling pools and a powdery white-sand beach, this inspired adults-only resort is an oasis of relaxation and amenities. Location: Located in Playa del Carmen on the Riviera Maya, Mexico, just 35 minutes south of Cancun International Airport and just 10 minutes away from downtown Playa del Carmen. 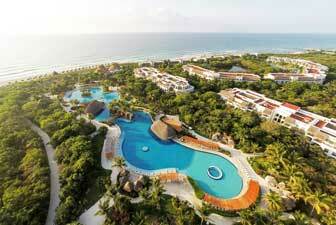 Azul Fives is an all-inclusive, family-friendly resort. Noted for its enormous suites, designed with up to three bedrooms with rooftop decks, this is the perfect escape for families with multiple children and groups of friends. 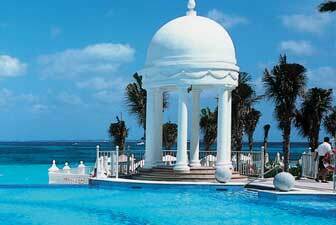 The Riu Palace Peninsula is located in the heart of beautiful Cancun. 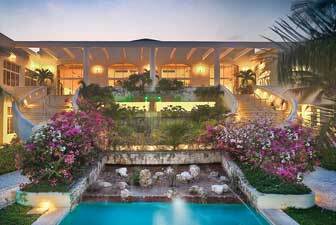 The property is situated on a dazzling stretch of white sand beach and framed by tropical vegetation and crystal clear turquoise water. 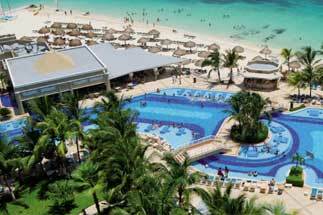 The Iberostar Cancun hotel is a luxurious 5-star All Inclusive complex located on one of the finest beaches in Cancun, Mexico. Location: The resort is just 40 minutes south of Cancun Airport, 10 minutes north of Playa del Carmen, 15 minutes from Playacar Golf Club, and right in the heart of many of Mexico's most exciting attractions. El Dorado Maroma, a Beachfront Resort by Karisma offers all the elements for an active, authentic and luxurious vacation experience. 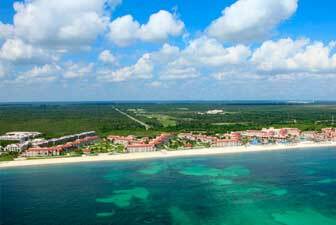 Location: The resort is only 25 minutes south of Cancun International Airport, 15 minutes north of Playa del Carmen, and approximately 30 minutes from world-class golf, stunning natural cenotes and downtown Cancun. 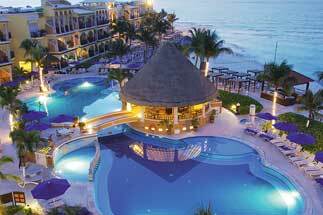 El Dorado Casitas Royale prides itself on being an all-inclusive, casually elegant, adults-only (18+) resort. A sophisticated, couples-only, exceptionally romantic atmosphere and boasting accommodations worthy of winning the AAA Four Diamond Award. 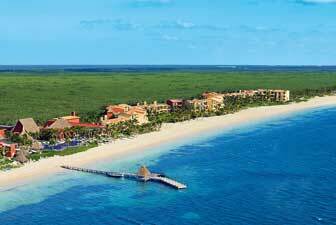 Location: The resort is only 25 minutes south of downtown Cancun, 35 minutes north of Playa del Carmen and 30 minutes north of the Mayakoba Golf Club and 20 minutes from Cancun International Airport. 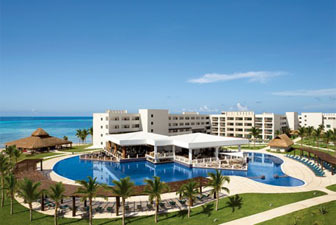 Azul Beach Resort Riviera Cancun is a beachfront, all-inclusive suite hotel, located on the white-sand beaches of Riviera Maya. Special experiences foster togetherness for families, couples and groups of friends, perfect for a getaway with those you love. Location: Generations Riviera Maya is located in the heart of Riviera Maya, 25 minutes from Cancun International Airport and 15 minutes from Playa del Carmen. 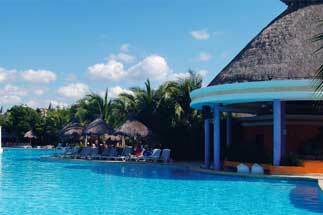 The property is located just steps away from Karisma sister property El Dorado Royale and El Dorado Casitas Royale. 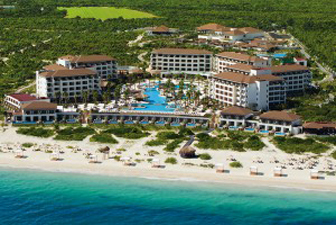 Generations Riviera Maya by Karisma is Mexico's premier All Suite, All Butler, All Gourmet, beachfront resort where couples, wedding parties and families savor a Gourmet Inclusive experience. 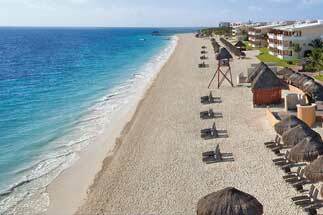 Location: Hyatt Zilara Cancun is only 15 minutes away from downtown and 20 minutes from the Cancun International Airport and near the best golf courses, shopping malls, restaurants and nightlife this city has to offer. 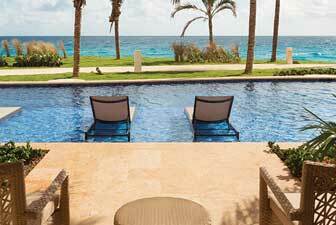 The Hyatt Zilara Cancun is an adults-only, all-suite, all inclusive resort where guests experience traditional Mexican warmth in an intimate yet casual setting. 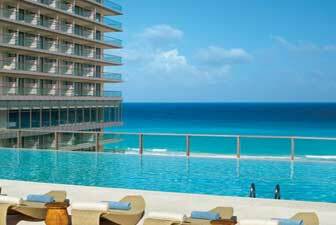 Location: Ideally situated in Cancun's most desirable location, Hyatt Ziva Cancun stands on the edge of a picturesque peninsula, the only resort in the region surrounded on three sides by the sparkling Caribbean Sea. The resort is adjacent to the city's vibrant entertainment district and just 25 minutes from Cancun International Airport. 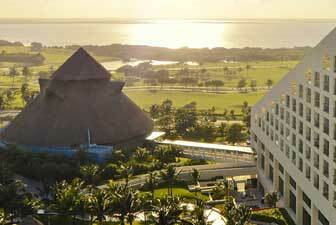 Hyatt Ziva Cancun is a playful family escape on Mexico's Yucatan Coast. 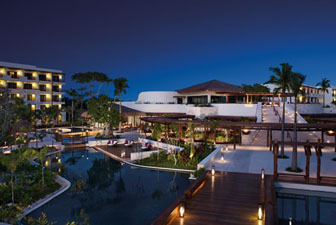 Experience the Evolution of All Inclusive luxury, where you are inspired to live in the moment. 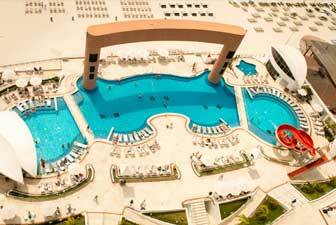 Location: Located just 25 minutes north of the Cancun International Airport and Cancun's hotel and shopping zone. 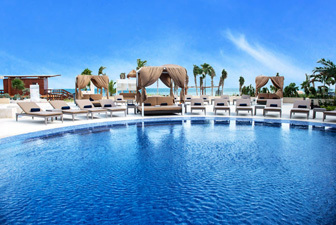 Located among the stunning white powder sands and turquoise waters of Playa Mujeres, Mexico, Finest Playa Mujeres welcomes and accommodates guests of all ages, including couples, mid-size groups and families. 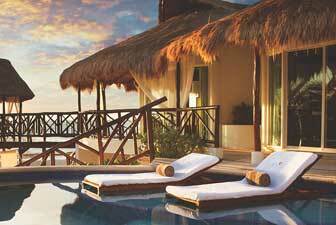 The Beloved Hotel Playa Mujeres, managed by Excellence Group Luxury Hotels & Resorts, is a luxury boutique-style all-inclusive resort hotel located on a spectacular peninsula between the Mexican Caribbean and a national wetlands wildlife preserve. 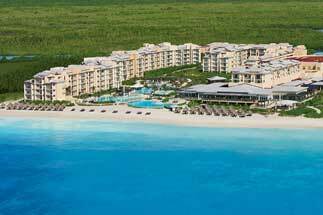 Location: The Paradisus Cancun is located 15 minutes from Cancun International Airport, 20 minutes from downtown Cancun and only 5 minutes from the shopping centers in the hotel zone and across the street from one of the longest marinas in Cancun, Aquaworld. 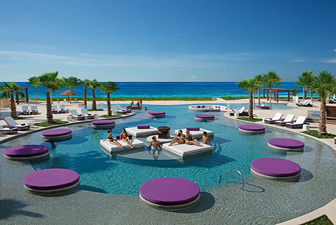 Perfectly situated on the soft white sand beaches of Cancun, this resort's standard in luxury is on par with the highest standards of excellence, a commitment to quality that has awarded Paradisus Cancun Four Diamond honors since 2006 by AAA. 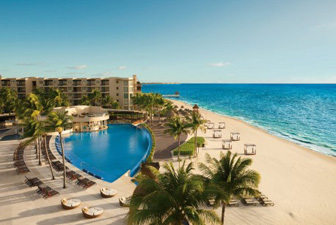 Location: Paradisus La Esmeralda is located about 45 minutes from Cancun International Airport and just steps from an extraordinary beach and attractions such as Playa del Carmen's 5th Avenue, Xcaret, Akumal, Xel-Ha, and is near world-famous Mayan archaeological sites such as Tulum, Chichen Itza and Coba. 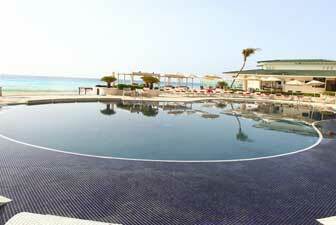 An exclusive All Inclusive Resort for adults only. Special services for relaxation, pleasure, romance as well as meeting and convention facilities for a perfect combination of business and pleasure! 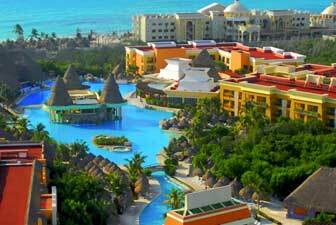 An exclusive All Inclusive Resort for everyone. 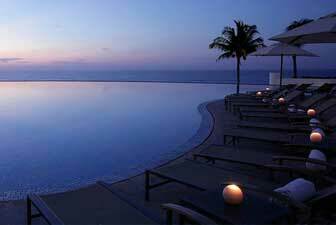 Special services for relaxation, pleasure, for kids and teens as well as meeting and convention facilities. Perfect combination of pleasure and fun for everyone! 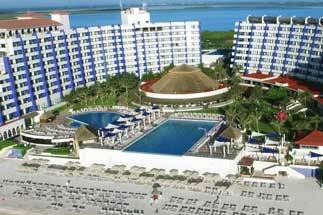 Location: U-shaped 12-story resort hotel fronting 492-foot beach, situated near Cancun's main shopping, 20 minutes from Cancun Int'l Airport. To live like a rock star means never being far away from the action. 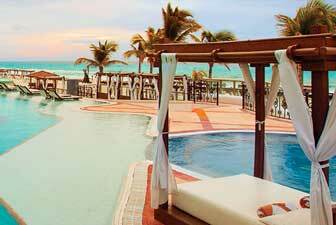 Lucky for you, the all-inclusive Hard Rock Hotel Cancun puts you right in the middle of it. 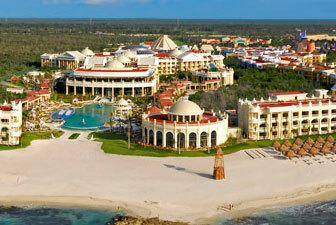 Hard Rock Hotel Riviera Maya is an all-inclusive, family-friendly resort, situated on the warm sands of Riviera Maya. With the lagoon-style beaches and natural sea coves, Hard Rock Hotel Riviera Maya boasts lavish comfort and a service to all guests. 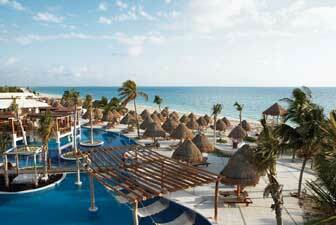 When the sun is high in the Cancun sky, this superior resort provides the perfect setting for fun in the sun. 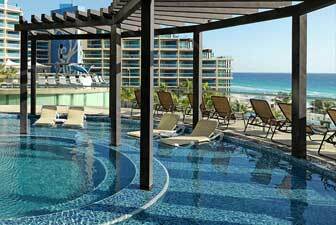 The all-inclusive ME by Melia is Cancun's answer to sophistication and style. 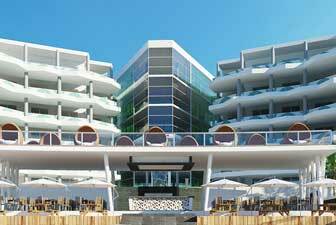 Designed to raise eyebrows, blur boundaries, tempt, tease and seduce, ME Cancun is an exciting 'experienced-based' contemporary resort. 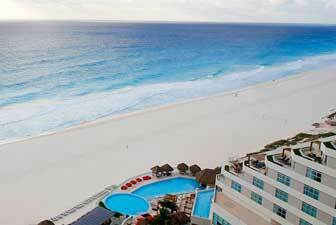 Location: Cancun Beach - Located on the southern end of Cancun's Hotel Zone. 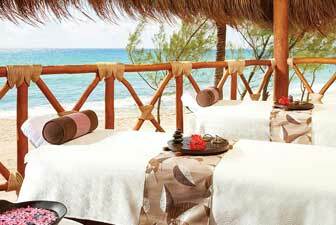 As the first couples' only resort in Cancun, Sun Palace is the perfect retreat from the every day stress. 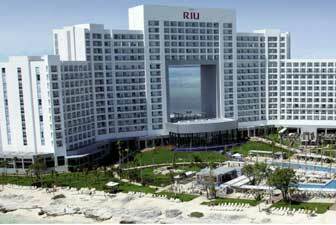 Riu Palace Las Americas and its magnificent architecture encompasses deluxe junior suites and suites located in the very heart of Cancun's exclusive hotel zone. 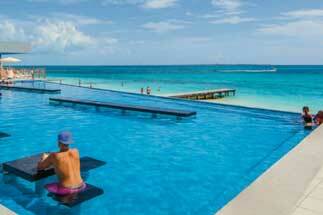 Location: A beach front resort overlooking either the turquoise Caribbean Sea with white sand beaches or the tranquil Nichupte Lagoon. 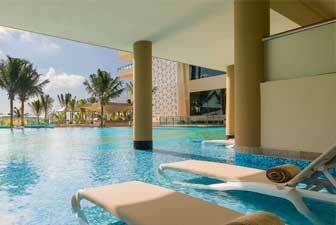 The Westin Resort & Spa, Cancun rests peacefully at a quiet end of Cancun's Hotel Zone. Location: Adults Only Resort located in Kantenah Bay Riviera Maya, one hour south of Cancun International Airport, 25 minutes away from Playa del Carmen, 10 minutes from the aquatic park Xelha, 20 minutes from the natural park Xcaret and 25 minutes away from the renowned Mayan ruins of Tulum. Hidden Beach blends signature services such as personalized check-in with a welcome glass of champagne or the exclusive concierge service with charming architecture to create an atmosphere of understated luxury. 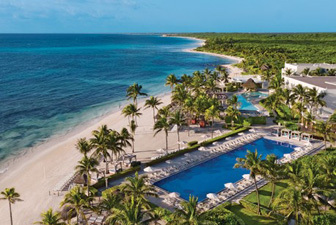 The oceanfront Iberostar Paraiso Maya appeals to families, spa and golf enthusiasts and luxury travelers seeking sensational all-inclusive beach vacations. 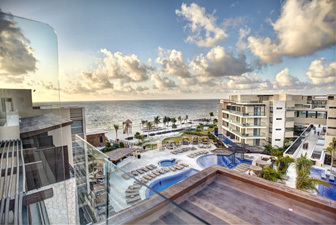 This Hotel is located in first line of the magnificent Playa Paraiso, halfway between Puerto Morelos and Playa del Carmen and is part of Iberostar Playa Paraiso Resort, a unique holiday complex. 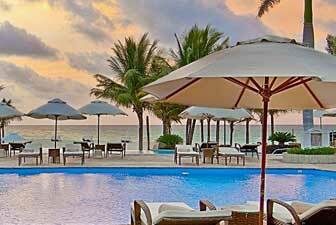 Location: Located halfway between Cancun and Playa del Carmen, less than a mile from Puerto Morelos. Where the bright sunny days of the Riviera Maya meet warm hospitality and modern amenities, Hotel Marina El Cid provides unforgettable vacations for families, spa enthusiasts and active travelers seeking a little all-inclusive luxury. Location: With one of the best locations in the Playacar development, just a few steps from the quaint town of Playa del Carmen. 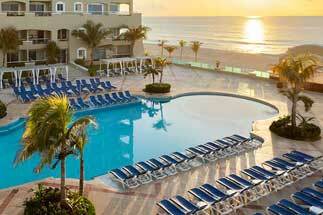 Distance from hotel to downtown Cancun, 70 minutes. Distance from hotel to airport, 45 minutes. The all-inclusive Playacar Palace is located on a beautiful stretch of the Caribbean Sea and is within walking distance to Playa del Carmen's famous 5th Avenue. Location: Centrally located - close to Cozumel, Tulum , Puerto Morelos, and even Cancun's International Airport is just 45 mins. away. 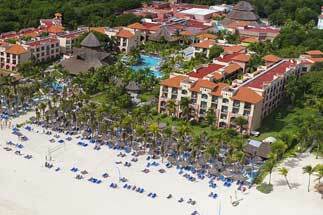 Iberostar Quetzal is an impressive all-inclusive resort located on Playacar's magnificent beach, just minutes away from Playa del Carmen. 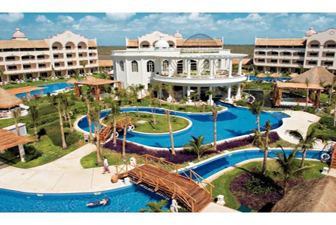 Riu Palace Mexico is located in the exclusive Playacar resort area, overlooking the turquoise waters of the Mexican Caribbean. 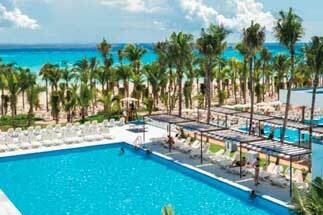 This luxurious resort, the latest addition to the Riu family in Playa del Carmen, is the ultimate in pampered first-class service. 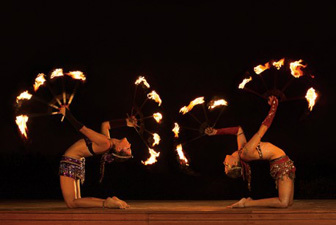 This resort is a favorite among the other sister properties, as activities and entertainment are non-stop day and night. 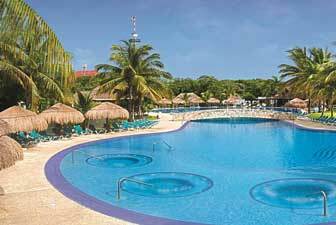 Location: Hotel Valentin Imperial Maya is located a short 25 minutes from Cancun International Airport in the Riviera Maya. 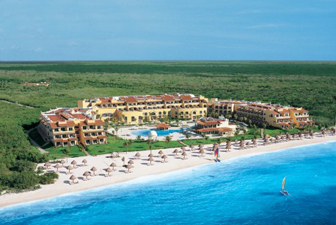 Valentin Imperial Maya is the perfect place to let your worries go and enjoy living with nature. The property is designed in the style of a typical Mexican hacienda with touches of rich colonial decor, set amid tropical vegetation. 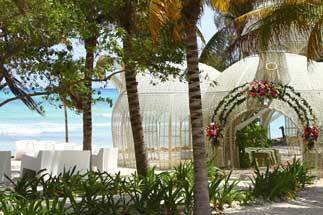 Location: On the pristine Mexican shoreline, adjacent to Xcaret park. 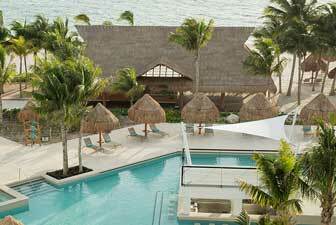 The Occidental at Xcaret's breathtaking surroundings await you less than an hour South of Cancun International Airport. 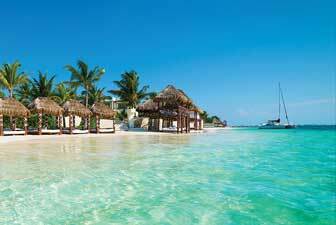 Location: Isla Mujeres is an island off the coast of Cancun. 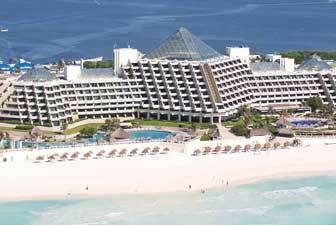 Expect the total travel time from Cancun International Airport to Isla Mujeres Palace to be about an hour and a half. Isla Mujeres Palace is an all-inclusive, couples-only paradise and the ideal resort to discover true love and a great tan. The all-inclusive, beachfront Iberostar Tucan hotel with its endless possibilities is located just minutes from the popular fishing village of Playa del Carmen in the beautiful Playacar area. 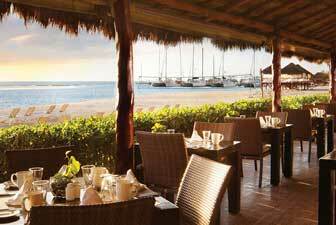 A boutique all-inclusive property with spectacular views, gourmet food, and warm, white sand beaches. 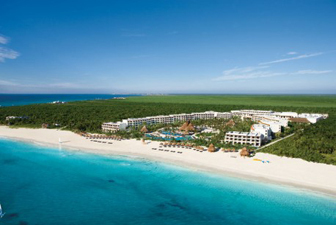 Sandos Cancun offers a unique, intimate and luxurious vacation experience in the Mexican Caribbean. 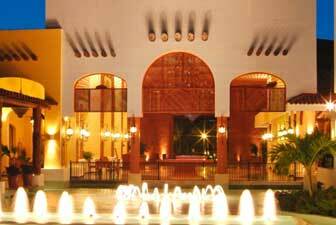 Location: Royalton Riviera Cancun is located just a 15 minute drive south from the Cancun International Airport. Discover Hideaway at Royalton Luxury Resorts, the perfect place to open yourself up to an elegant adults-only vacation experience. 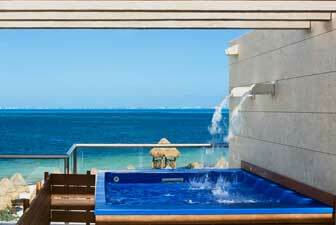 Overlooking the bright blue waters of the Mexican Caribbean, families, spa enthusiasts and active travelers are in for a treat during visits to the all-suite Panama Jack Resorts Gran Caribe Cancun. 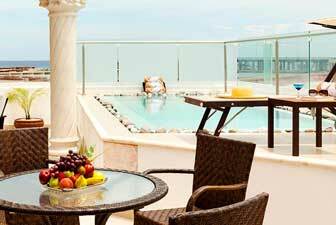 Let Crown Paradise Club give you the privilege of enjoying this hotel in Cancun Mexico to the maximum and at all times making lasting memories. 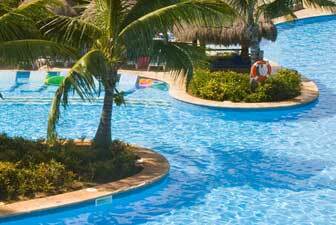 The impressive Riu Caribe, with its Mayan-style architecture overlooking the crystal-blue waters of the Mexican Caribbean, is the perfect site for a fantastic holidays. 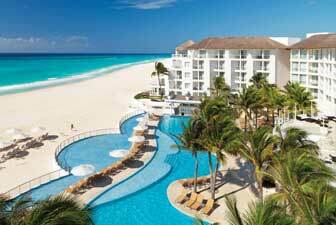 The contemporary beachfront Riu Cancun is set in an excellent location in the heart of Cancun's hotel zone. 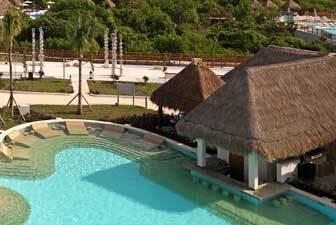 The Sandos Playacar Resort recreates a typical Mexican Hacienda. 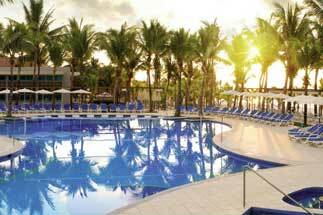 The Riu Playacar is a charming and colourful Caribbean style resort, located opposite a lovely white sandy beach surrounded by lush tropical gardens. 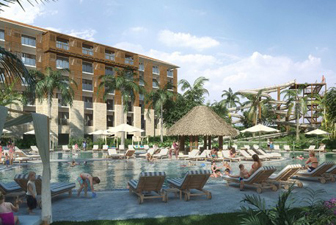 The picturesque Panama Jack Resort Gran Porto Playa del Carmen is on the best location in the heart of Playa del Carmen right on a beautiful, protected stretch of swim-friendly beach, mere steps from Fifth Avenue's shops, clubs and restaurants. 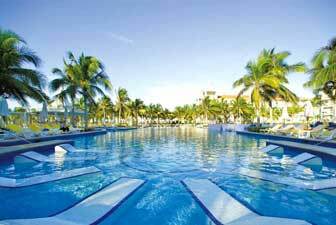 Location: Beach front resort located within the Playacar complex. 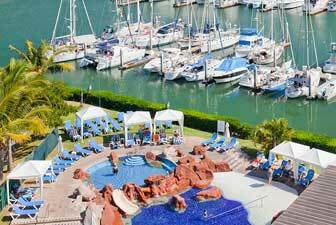 This recently refurbished beachfront resort is located in the Playacar resort complex adjacent to a championship golf course. 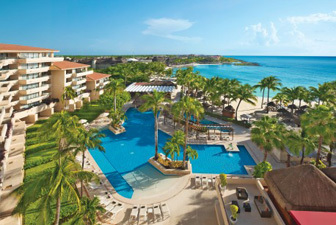 Recently re-opened with new spacious facilities this resort serves as the perfect destination for you Mexican vacation.